Several Hong Kong investors are interested in investing in the domestic Islamic capital market instruments this year as they have expressed during their visit to the Capital Market and Financial Institution Supervisory Agency (Bapepam-LK) office. “They are interested in domestic capital market investment instruments. They have been asking questions about Islamic instruments and tell us they will invite investors here at the next meeting,” informed Accounting and Transparency Standard Bureau Chief at Bapepam-LK Etty Retno Wulandari to Bisnis yesterday. She told it after a meeting between several Bapepam officials, including herself, and Financial Secretary Special Administration Region (SAR) of Hong Kong John Tsang. However, she had not been able to tell for sure when the next meeting would be held. The Accounting and Transparency Standard Bureau at Bapepam-LK supervises Islamic securities regulations and implementation in the capital market. On the same occasion, Chairperson of Bapepam-LK Ahmad Fuad Rahmany disclosed Hong Kong and China currently have a huge investor base of 16,000 investors, creating big opportunities for Indonesia to market its capital market investment product. Separately, Real Sector Companies Financial Assessment Bureau Chief of Bapepam-LK Anis Baridwan regretted the lack of Islamic investment instrument issuance by issuers or other capital market players. He further called for product variation so that Islamic instruments would have better sales value and better chance to be eyed by investors. He explained compared to other countries, Indonesia is one of the countries most ready in terms of legislations and regulations to accept product variant, posing smaller risk to argument about Islamic value. Data by Bapepam-LK showed Islamic instrument currently only represented 3% of IDR3,850 trillion’s worth of conventional instruments consisting of insurance, banking product, T-notes, corporate bond, and mutual fund products. Anis Baridwan added Bapepam would encourage market players to maximize Islamic securities. New Delhi: India’s eminent Islamic clerics today pitched for introduction of Islamic banking and financial system in the country while opening to the public the Islamic Investment & Finance Board, an advisory committee headed by clerics to assist both corporations and markets as well as common people regarding Shariat-compliant investment and finance. “Islamic Finance and Ethical investments are gradually evolving into one of the most important asset classes in the financial services industry in the world today. This is seen as an alternate to the failure of conventional financial system to achieve the higher objective of bringing economic justice. Another driving force for this phenomenon is the sheer size of the Indian Muslim population who are looking for alternate interest free financial system,” said Mufti Mohd. Yahya Qasmi, Member, Islamic Investment & Finance Board (IIFB), at the national conference titled “A Search for an Alternate Financial System” at India Islamic Cultural Centre in the National Capital today. Building on the strong fundamentals and importance of the alternative investment & finance, Islamic Investment & Finance Board was evolved under the leadership of Maulana Mohammad Wali Rahmani, Sajjada Nasheen, Khanqah Munger and Secretary of All India Muslim Personal Law Board, said Mufti Qasmi while introducing the IIFB and opening the conference. The primary responsibility of the board is to ensure that all the Islamic Financial products made are Shariah compliant as an alternate means. The work of IIFB will be supervisory to guide and advise the financial corporation regarding Islamic investment and finance including Islamic Banking. The board upon going through the Shariah validity of financial products presented by financial corporation would certify the financial products after a thorough examination according to the Shariah compliant criteria. The IIFB Board shall have continuous dialogue with economist, bankers and other scholars to assess the feasibility of new proposals and assisting in project development and execution of new financial products in compliance with Shariah Principles. IIFB also makes sure that the work of an organization is Compatible with Shariah rules according to the accredited and agreed legal opinions (Fatwa), Mufti Yahya said. 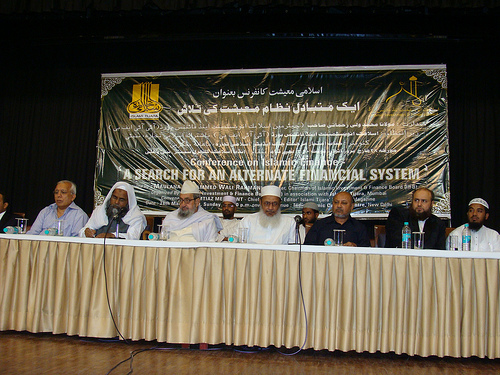 The IIFB comprises prominent Ulama such as Maulana Khalid Saifullah Rahmani, General Secretary of Islamic Fiqh Academy- India, Maulana Fuzail ur Rahman Hilal Usmani Panjab, Maulana Fuzlur Raheem Mujeddi Jaipur, Mufti Shoibullah Khan- Bangalore, Mufti Ahmad Nadir Al-Qasmi, Mufti Ajaz Arshad Qasmi, Mufti Riyaz Ahmad Qasmi Munger, Mufti Anwarul Haque Qasmi, Mufti Mohd Yahya Qasmi and Market Expert Imtiaz Merchant. Addressing the gathering Maulana Khalid Saifullah Rahmani said interest is prohibited not only in Islam but also in Christianity and Hinduism. Islamic banking system which will be free from interest will have little risk for the common people. He said that to fix benefit and dividend and to not accept the risk of loss is unnatural. H Abdur Raqeeb, Convener, National Committee on Islamic Banking and General Secretary, Indian Centre for Islamic Finance demanded the government to allow Islamic Banking system in India as many many European countries and US have done. He said he has met RBI Deputy Governor and Union Finance Minister Pranab Mukherjee. Both have given positive response. 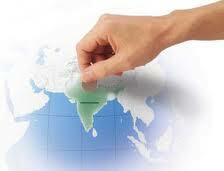 For introduction of Islamic banking in India, the present Indian banking law will have to be amended. So he urged the gathering to meet their local MPs and convince them about Islamic financial system. Talking to TwoCircles.net on the sidelines of the program, stock market professional Tauqeer Anjum from Chennai-based stock broker ITI Financial Services Ltd. said in the last few years there has been rise in number of people who are coming to enquire about Shariat-compliant stocks. His company though does not have any such index, however provides the Muslim investors with information about Shariat-compliant shares and products where they can invest. Excerpt. Do you get Muslim customers/investors who want to know from you about Shariat-compliant products/shares in which they want to invest? Yes, such people come though in limited number and they want to invest but they have no option or alternative to work, they do not have full information either. Do you see rise in number of people who are coming to enquire about Shariat-compliant shares? Yes, for the last five years I have found rise in the number of such people. Earlier I was with MK stock broker and now with ITI Financial Services Ltd for some years. A lot of people come to get information about shares which are not based on interest and are completely Shariat compliant. They show interest in equity shares. Do you have any list of Shariat-compliant products and shares? We do not have any such index, but we have information about Shariat-related shares and share this information with the investors who want. Can you name some companies/products in which Muslims can invest without fear of getting involved in interest? Sun Pharma, Reliance Industries, Reliance Capital, Dabur these are some stocks/companies in which we can invest. Such programs are necessary. We in the share market seek to get information about Shariat-compliant finance. We got information about this program. And I am here to attend it. In any economy, private investment occurs in two different ways: active investment, where one or more persons put their own capital into a project, manage it themselves and enjoy the fruits of their labour and capital themselves; and passive investment, where the investor provides the capital and receives a return but takes no further part in the project. Broadly speaking, a passive investor has three options: one, buy shares in a company and receive a dividend; two, buy bonds or securities and receive interest; three, deposit in a bank and receive interest. In an Islamic economy, active investment and the first option are permissible while the last two options would be regarded as riba (interest) income and therefore prohibited. On the entrepreneur side, he may finance his project using his own capital, by selling shares in his enterprise, or by borrowing on interest (from a bank or by issuing bonds/securities). In an Islamic setting, the first two methods are permissible while the last is not. For clarity the scenarios are depicted in Tables 1 and 2. Both conventional and Islamic systems permit and encourage active investment, which rewards labour and capital from realised profits. Both also permit and encourage passive investment in shareholder companies, which too reward capital from realised profits in the form of dividends. In both cases any realised loss is borne by the capital-providers. But any investment that brings in riba income or financing that involves the payment of riba is prohibited in an Islamic system. This leaves the Muslim passive investors who cannot or will not buy shares in a company and Muslim entrepreneurs who do not have their own capital or cannot raise share capital but need seed capital and/or additional funds in a difficult situation. If not for their religious convictions, they would resort to bonds and securities or fixed deposits and bank loans. Since this category of investors and entrepreneurs form a large section of the Muslim investor-entrepreneur community, it is necessary to address their difficulty. This essay explores the options available to this group within an Islamic setting. Participatory Financing explained in the following paragraphs is a system developed to address this special concern of Muslims. It is based on the ancient concept of mudaraba. Mudaraba is an ancient form of financing practised by the Arabs since long before the advent of Islam. It suited the Meccan Arabs because of their location at the cross roads of the ancient trade caravans. They themselves were merchants carrying goods north to Syria in the summer and south to the Yemen in winter. They took goods from their homeport to sell at their destination, and with the proceeds bought other goods and brought them back to sell at home and/or to re-export to another destination. When a trading caravan is organised it was the practice of the Meccans either to join it with their own goods and money or to send such through agents who did the business on their behalf. When a caravan returned home and the goods were all sold, the mission was complete and it was time to prepare the ‘balance sheet’ and calculate the profit/loss. Traders who took their own money and goods assessed the success of the mission by the profit/loss they made and enjoyed the fruits of their labour or mourned their loss on their own. Those who combined their fortunes with that of one or more of their colleagues and undertook the project together had to go one step further and divide the fortune or loss among the partners, according to a pre-agreed pattern. The rules of this pattern had long been established by custom and had been known by the name musharaka. The agents who carried others’ goods and/or money had to give accounts to their principals and claim their share of the profit/loss according to a pre-arranged pattern. This too had rules assigned by custom and was known by the name mudaraba. When Muhammad (Peace be upon him) began his prophetic mission he did one of three things with regard to the practices of the Arabs: 1) if it involved the denial of the existence or the uniqueness the one God (Allah) or associating anything or anyone with Him or was against any command of God, he prohibited it outright; 2) if it did not involve any such action he did not interfere with it; 3) if some useful or essential practice involved some elements of the first, and if that could be removed, he removed the offending elements and allowed the modified version to be practised. Mudaraba and musharaka belonged to the second group. Nabil A. Saleh in his authoritative and very readable book, Unlawful Gain and Legitimate Profit in Islamic Law (1986), gives detailed descriptions of the rules relating to mudaraba and musharaka, including the differences of opinion in the interpretation of these rules by the later schools of Islamic Law. A recent (1999) publication by Justice Taqi Usmani is a very useful contribution to Islamic finance. It is useful to students and teachers of Islamic banking and finance on account of the authoritative definitions given of the terms and concepts used in the field, and because of the detailed explanations and background information provided. It also describes how these concepts are currently implemented, and points out the shortcomings and gives suggestions for improvements. Though the present author does not, with all respects, agree with all the suggestions, the book is perhaps a must in the library of every student of Islamic banking and finance. In it he singles out mudaraba and musharaka as the only true modes of financing. The others such as murabaha, ijara, salam, istisna are modes of trade which are presently being used as modes of financing. Islamic financial institutions assume the role of traders and use the modes of trade but remain financiers. This metamorphosis is achieved by ‘legal’ documentation and some self-persuasion. It does not, however, convince many; and the root of the problems faced by Islamic banking and finance today lies in this split personality. The theme of this article is: let the financiers be financiers, and the traders and entrepreneurs be traders and entrepreneurs. The Mecca of 1400 years ago was a small city (of possibly a few thousand inhabitants), practically everyone of any significance was known to everyone else, and the assembling of a trade caravan was a great public event that took place twice a year. The Who’s Who? of the financiers and the agents, their character and abilities, who took what, what was sold for what price, what was bought for what price and the sale price were all public knowledge. There was little room for misbehaviour and the price for it in terms of social ostracism was very high. Today, in the modern world, especially in large cities, practically everyone is a stranger to his neighbour. Financial affairs are strictly private. Who has money, who needs it, and to do what are all generally unknown to any other. But the bank has become privy to this information, including the amounts, and has established itself as an intermediary between the owner of funds and the entrepreneur who needs it. The reality today is that there are many capital-holders who wish to earn an income from their capital but have neither the time nor the skills necessary to embark on a project. They may range from simple wage earners who have saved some money, pensioners, widows or orphans who have received a lump sum payment, trusts and institutions with whom some capital has been entrusted, to insurance companies and individuals who have inherited a fortune. The size of their capital too may vary from hundreds and thousands to millions. They need to invest their capital in a profitable undertaking, but may not know any entrepreneurs who wish to embark on a project and are looking for financiers. Even if they find one they may not have the necessary skills to assess the viability of the project or the ability and integrity of the entrepreneur. On the other hand, entrepreneurs who have viable project proposals may not know those who have the required funds and are willing to invest in their projects. This is where, in the context of the present-day, the need arises for a financial intermediary who could bring the investor/financier and the entrepreneur together. Conventional banks do perform this role very effectively and efficiently. Capital holders deposit their funds with the bank, and entrepreneurs submit their project proposals to the bank, the bank examines the business plan and if it is satisfied that the project could bring in sufficient income to allow the repayment of the principal and interest, and provided sufficient collateral is also available, the bank advances a loan. The bank does not get involved in the project; whether the entrepreneur/borrower makes a profit or loss he pays the principal and interest on due dates, or the bank has recourse to the collateral. The bank accepts the depositor’s capital, guarantees its full return, and pays him an interest (or return on his ‘investment’) at a fixed rate, and uses the capital to grant loans to borrowers. But the interest rate given to the depositor is always smaller than the rate the bank charges the borrower, and the difference goes to cover its own expenses and profits. This seems to work very well if people have no qualms about paying or receiving interest, despite the built-in injustice to both the entrepreneurs and the depositors. But some people are beginning to have qualms, and Muslims are prohibited from earning an income in this fashion. Islamic banking is a response to their concern ¾ an alternative method to address the need, minus the injustice. Mudaraba is essentially an agreement between a financier and an entrepreneur — the principals. However, taking account of the modern social structure and context, the pioneers of Islamic banking brought in an intermediary between the principals and created a two-tier mudaraba. This modified form of mudaraba was introduced into conventional commercial banking in the form of profit-and-loss-sharing (PLS) investment accounts and financing arrangements. The earned profit (which is an uncertain and unpredictable return on capital) was to replace the interest (a pre-determined fixed return) in the conventional setting. This, however, was not acceptable to the conventional banking authorities. Therefore, except in a few countries where rules were relaxed or special banking laws were enacted, it was not possible to establish and operate Islamic banks in most countries of the world. In such countries Islamic financial institutions, which did not come under deposit bank regulations, were introduced. In both cases, while the deposit/investment side worked on mudaraba basis, mudaraba was only one of several modes used for financing. Though a preferred one in theory, in practice it became one of the least used. The most used forms are modes of trade, and this has led to questions of morality and ethics. In addition, Islamic banks are unable to provide all the financing services expected of a commercial bank. One of the very serious consequences of using modes of trade as modes of financing is that Islamic financial institutions are confined to financing short-term trade, and are unable to finance long-term projects in industries, agriculture, services, etc. The latter are equally important, if not more, to any country except perhaps for some few raw materials exporting countries which import all other products. But this situation too cannot continue for long. Many, including Dr. Ali Yasseri in a recent (August 2000) article, cry out for a new approach. The question is: is there a viable alternative methodology? A comprehensive new methodology has been developed in a series of three books published in the last few years, and an overview of the salient features of the new approach is given in a recent publication. The author argues that, “In Islam, there is a clear difference between lending and investing ¾ lending can be done only on the basis of zero interest and capital guarantee, and investing only on the basis of mudaraba. Conventional banking does not ¾ and need not ¾ make this differentiation.” But a system catering to Muslims “has to take this into consideration” and “…provide for two sub-systems ¾ one to cater to those who would ‘lend’ and another for those who wish to invest.” The first sub-system would cater to those who wish to put their money into a bank for safety and transaction convenience; and the bank would provide all current account facilities and short-term loans and advances. This is explained in a 1995 publication ¾ Interest-free Commercial Banking. The 1996 publication ¾ Participatory Financing through Investment Banks and Commercial Banks ¾ describes the second sub-system, where both investment and financing are strictly on the basis of mudaraba. Though the title mentions only banks, the methodology can be used by investment companies as well. In this article we propose to bring out the salient features of the second sub-system. The central idea in the concept of mudaraba is that two parties, one with capital and the other with know-how, get together to carry out a project. The financier provides the capital and plays no further part in the project; specifically, he does not interfere in its execution, which is the exclusive province of the entrepreneur. If the project ends in profit they share the profit in a pre-arranged proportion. If it results in loss the entire loss is borne by the financier, and the entrepreneur gains no benefit out of his effort, which was his part of the investment. There are many variations of this simple model but this is the basic concept. Mudaraba is usually translated as profit-and-loss-sharing but, as far as the financier is concerned, it is in fact profit-sharing-and-loss-absorbing. In participatory financing, as envisaged in the present discussion, there are three important additions to this basic concept. One, there are many investors and many entrepreneurs. Two, an intermediary comes in with whom investors deposit their funds and the intermediary finances projects put forward by entrepreneurs. In this investors-intermediary-entrepreneurs triangle, the investor is essentially a sleeping partner. He provides capital and then shares the profit or absorbs the loss. It is the responsibility of the entrepreneur to present a good proposal, convince the financier that it is viable and profitable, and provide proof that he is able, qualified and experienced to carry out the project successfully. The intermediary is both an entrepreneur and a financier. When he accepts funds from an investor, he is an entrepreneur; and when he finances a project submitted by an entrepreneur, he is a financier. Three, individual investors and individual entrepreneurs have no direct contact/relationship with each other. The investor does not know which project is financed by his capital, and the entrepreneur does not know whose money is financing his project ¾ a pool of funds from several investors finances a series of projects from several entrepreneurs. When it comes to profit/loss sharing too it is the net profit/loss from all the projects that is shared among the investors (and the intermediary). The individual entrepreneur, however, shares with his financier (the intermediary, in the first instance) the profit/loss from his own project only. It is appropriate at this point to state that in the above scenario, the financiers ¾ both the investors and the intermediary ¾ operate purely on the basis of mudaraba while the entrepreneur is free to choose any mode of practice (such as murabaha, ijara, salam, istisna, etc.) appropriate to his trade, business, industry, agriculture, etc. to run his enterprise. Thus the proposed method simply avoids the need to devise dubious “financial instruments” which have brought the very concept of Islamic banking and finance into disrepute. This also nullifies the need for “Shari’a Boards” in these institutions. Another important characteristic of ancient mudaraba was that it was a one-project, time-limited contract. That is, the contract (between the two principals) began with the assembling of a particular caravan and ended with its return — each new caravan started with new contracts, whether with the same partners or with new ones. Today no trade caravans ply between distant lands, assembling anew and dismantling each season; but businesses, industries and all kinds of other enterprises are established and run on a long-term basis. Therefore, in the modified version this time-limited, single-project characteristic has also been removed. This enables the basic concept of mudaraba to be applied to all kinds enterprises on a long-term basis. The function of the intermediary is very important. He is responsible for identifying good projects for financing as well as for monitoring their progress and ensuring proper accounting and auditing. But he (the intermediary) plays no part in managing the project or in making policy decisions — that is the exclusive domain of the entrepreneur. The intermediary is a separate physical and legal entity, independent of both the investors and the entrepreneurs. But he (she/it) is an equal partner in every project he finances so that he has full legal right to the physical and financial assets of all the projects and has full access to all the books. This is very important, and it is here that participatory financing differs from conventional financing practices; in this respect it differs from the current practices of Islamic banks too. This allows the intermediary to have a true picture of the health of the projects at all times. He can then take any preventive or corrective action (in extreme cases), and, in the event of failure of a project, he can recover whatever is left of it. This possibility gives assurance to the investors that their investment is safe, albeit within limits which they are aware of, and that the profit and loss account given to them is reliable and transparent. The fact that the investors’ confidence in the intermediary and the intermediary’s own profit depend on the number and size of successful projects should ensure that the intermediary seeks out good projects and closely monitors their progress. One important feature of participatory financing is that the entrepreneur need not provide security for the financing he receives. The project itself is the security, and the intermediary, being an equal partner in the enterprise, is its guardian. This should play a very constructive role in discovering and developing new entrepreneurial and other talents in the society, especially at the micro level, otherwise unearthed on account of the unavailability of collateral/security. The proposed scheme provides for two types of investments: one called Participatory Financing (PF) stocks and the other PF shares. These are essentially stocks and shares in the intermediary’s PF scheme (which is a collection of all (or a group of) the projects financed by the intermediary). PF shares correspond to unit shares because every PF share contains a tiny portion of every project in the scheme. PF stocks roughly correspond to fixed deposits in a bank. The main difference between the conventional fixed deposits and the PF stocks is that the return in the latter is computed from the profit and loss statements of all the projects in the PF scheme (and the profit/loss shared among the participants) at the end of the accounting period. Therefore the profit/loss is a realised one, and not an anticipated or pre-fixed one. Thus neither speculation, nor uncertainty, nor riba is involved in the operation. But the PF stockholders will have to wait till the end of the accounting period to collect their returns. The status of each of the three participants in this scheme is as follows. The intermediary (an investment bank or an investment company) is a holding company with the legal status of a (public) limited liability company. The investor may either hold a PF Share or a PF Stock. The PF shareholders are like ordinary shareholders in the holding company’s PF scheme. The PF stockholders are like the time-deposit holders in a bank. Each project is a partnership limited liability company where the entrepreneur and the holding company are the two partners. PF shares provide the equity capital for the PF projects, while the PF stocks cater to the short-term cash requirements (which are normally met by loans and advances from commercial banks). In essence, participatory financing combines features of time deposits, business organisations (partnerships, shareholder companies and holding companies), and unit trusts on the one hand, and equity capital and commercial bank loans and advances on the other. It makes use of well-known rules and techniques of financing, company laws and accounting procedures. That makes it easy to implement, but the combination of all these in one single system within an entrepreneurial environment is a new formulation. That makes it a challenging one, requiring new attitudes and a comprehensive approach. We will briefly touch on these issues in the next section. The theory of participatory financing has been fully developed and presented in the book. The depth of the theory can be gauged from the details given in the appendices, one of which is reproduced below (with slight explanatory modifications to suit this article) to help better understand the system. The implementation of this system requires the cultivation of new attitudes on the part of all the participants. This is a tall order but is an absolute necessity if we are to create a truly riba-free economy. It requires more from each participant, but it also offers more both to the individual and to the society as a whole. From the investor it requires the full understanding that he/she/it may incur loss and that he will have to wait longer to know the results, but it promises a truly riba-free income and possibly better profits. From the entrepreneur it requires complete and accurate bookkeeping and full disclosure of all his/her/its accounts and the sharing of his bounty with his financiers, but it provides him with capital without collateral and the guarantee that in case there is a loss he will not be required to make it up, provided he had been honest in his dealings and his books will substantiate it. The intermediary is both a banker and an entrepreneur. As an entrepreneur, he too is required to be honest in his dealings, and accurate and transparent as to his bookkeeping and accounts. Bankers are trained to be very cautious, because their first concern is to guarantee the safety of the funds deposited with them. But in this system they are relieved of that concern because the investors have agreed to take the risk, and therefore if they persist with the banker’s attitude they will miss many opportunities at the investors’ expense. On the other hand, too much adventurism can bring about low profits or even loss, and that may lead to the loss of customers. They must have an entrepreneur’s natural talent to spot profitable projects and to avoid bad ones, and should develop it into a professional tool. The intermediary’s staff will have to be carefully picked and trained to bring out inherent entrepreneurial talent. Such intermediaries will have ample reward, as they will share in the profits. It requires a new culture, a culture of entrepreneur-financiers and of professionally run partnership companies. The system is heavily dependent on proper and accurate bookkeeping, accounting and auditing. That requires the availability of trained bookkeepers and their wide use, as well as professionally responsible and well-trained accountants and auditors. They are the bedrock of the system. The system requires a high level of integrity from these personnel, and it is in the interest of all the participants in the system to respect it. Substantial investment is necessary in the training of such personnel, and legal protection is necessary to safeguard the independence of the auditors. The comprehensive system presented in the four books groups the entire spectrum of business activities into three broad categories: at one end is the one-man-owned-and-operated small enterprises, including the ones financed or supported by loans and advances from commercial banks, and at the other end are the large enterprises financed entirely by shareholders and managed by professionals. In between are the proposed participatory-financed enterprises. The size of the enterprise is an important factor in this categorisation, and the type of financing and the type of organisation must generally match the size. Presently in all developing countries ¾ to which group most of the Muslim economies belong ¾ the distribution is highly skewed towards the smaller end. To achieve a better and stable economy, it is necessary to bring about a more even distribution. The mudaraba principle is applicable to a range of situations, from a simple local two-person partnership to a multiparty international corporation. A shareholder company works essentially on the mudaraba principle. But the participatory financing scheme envisaged in this article aims at the middle section of this range. It brings in the intermediary, and provides the investors with a unit trust type of investment opportunity. The scheme is ideally suited to medium scale new enterprises. However, it is possible to modify it slightly and bring in some of the running businesses too into the participatory financing system. This will help expedite bringing about the even distribution mentioned earlier. This can be done as follows. There are two possibilities. One, the enterprise is a running business and has no debts, and wishes to expand its activities. In this case, first the present worth of the enterprise (property, equipment, stocks, receivables, etc. including goodwill) must be determined. This is the capital of the enterprise in monetary terms. The investment bank/company brings in the necessary additional capital, and both go into a partnership (preferably by establishing a new private limited liability company) as before. However, in the present instance the original enterprise has two roles, as an entrepreneur and as a financier, while the investment bank/company is only a financier. Accordingly, when the profit/loss is computed, the financiers (both the enterprise in its role as a financier and the investment bank/company) will first share the profit/loss with the “entrepreneur” on mudaraba terms. Next, the two financiers will share the financiers’ share between themselves in proportion to their capital contribution. Finally, the bank/company will credit its share from this project to the bank/company’s PF pool of profit/loss. The procedure from here on is the same as previously described. Two, the enterprise is a running business and has debts owing to, say, a commercial bank. In this case, the investment bank/company will pay up all the debts and go into partnership with the enterprise, as in the first case, with this amount as its capital contribution. In establishing the new institution of mudaraba-based investment and finance, using the participatory financing scheme as described above, it is preferable to start with medium size running businesses. This will provide a stable base for the new institution to test the theory and to gain experience. In order to bring about a riba-free economy, the country’s banking system has to be riba-free, its commercial enterprises have to be financed by equity capital, and its investments have to be on a profit and loss sharing basis. This article has dealt with investment and financing, and has introduced a mudaraba-based system called participatory financing that takes into account present-day realities. This is a new institution specifically developed to address the concerns of Muslims. It has no parallel in the conventional economy, but the individual tools and techniques it uses are ones tested and proved in the conventional setting. Thus, while re-invention of the wheel has been avoided, proving the viability of the new institution and benefiting from it are challenges specific to Muslims. It is for the Muslim intellectuals, professionals, investors, entrepreneurs, and other concerned individuals, institutions and organisations to take up the challenge. In this appendix we present working definitions of some terms and procedures, which can be used as a basis for the development of an operational model. The main purpose here is to indicate the many issues that should be addressed in devising such a model. The definitions of stocks and shares have not remained unchanged over time, the distinctions have become blurred, and they have acquired different meanings and connotations in different countries. For example, what were known as stocks in the UK are now bonds in the USA, and shares have become stocks. The stocks and shares under the PF scheme have much in common with the original British definitions of the terms, but they have also some special characteristics of their own. Therefore we have to define what we mean by PF shares and PF stocks. Participatory Financing Shares are ordinary shares in the “company”, which consists of all the PF projects the bank is currently financing or hopes to finance in the near future. Funds obtained by selling new PF shares are to be used as venture capital for new projects. On account of the fact that every project will have a gestation period, the “company” will not be able to post a profit or loss statement on these projects until they become operational. Therefore PF shares cannot expect to earn a profit or loss during this period. However, since different projects will have different gestation periods and because the PF shares are not directly connected to any particular project, we have to find a way of saying when a PF share begins to earn a profit or loss. One way of doing it is for the bank to determine a common average gestation period for the projects expected to come under the PF scheme and to announce this period when the PF shares issue is advertised. The shares will not earn any profit or loss in this period of, say, one to three years. The PF shares will mature at the end of this gestation period. And all mature PF shares will be entitled to a share in the profit/loss of all the operational projects of the “company”. The “dividend” on these shares is determined on the basis of the net returns of all the PF projects of the “company” operational during the bank’s accounting period, say, annually. Profit and loss accounting is done at the end of the year. Therefore the final “dividend” awarded to PF shareholders is a realised profit/loss and not an estimated or pre-fixed one. Hence there is no room for uncertainty, speculation or riba. This is very important. PF shares are transferable and have no termination points. PF shares will also have a stake in the assets of the projects. However, since the investors have no direct connection with any particular project, the claims of the PF shares are on all the projects of the “company”. Thus, if, for example, a project ends and the assets are sold off or the bank sells off its shares in a project (perhaps to the entrepreneur or to an outside investor) the proceeds from such sales will accrue to all the PF shares of the “company” (providing interim dividends, additional PF shares or increasing their value). Whether the PF shares are issued periodically, as and when necessary or are available throughout the year, are all operational concerns and are matters for individual bank’s decision. The bank may also consider issuing separate shares to different groups of projects. In this instance each group will come under the purview of a separate “company”. Participatory Financing Stocks are funds deposited with the bank for a fixed period of time, to be invested in their Participatory Financing projects. The return on these investments are determined on the basis of the net returns of all the PF projects of the bank operational during the bank’s accounting period, as computed at the end of that period. And the bank will use these funds mainly to advance further credits to operational projects. In effect, PF stocks are like fixed-term deposits except that neither the capital nor the return are guaranteed or fixed in advance. The special characteristics of the PF stocks would be that: 1) PF stocks will not bear any fixed rate of return or interest, 2) the return will be determined at the end of each accounting period, and no attempt will be made to make any estimates in advance, 3) PF stocks are for a defined period, but they may be reinvested for another defined period, 4) PF stocks have no priority claims over PF shares, and 5) PF stocks share in profit and loss, but they have no claims on the assets of the projects. Now we have to explain what we mean by projects and the “company” in the foregoing paragraphs, in the context of participatory financing. Also how the profit/loss from the projects is shared among the participants. Each PF Project is an independent business entity whose legal status in the eyes of the Company Law may be a private limited liability company. The project can be anything from a large manufacturing concern to a small medical laboratory. There are two main and essential partners in each project: the participate-financing bank and the concerned entrepreneur. The entrepreneur is the active partner and the bank is the “sleeping” partner. The PF “company” is an internal arrangement within the bank in order to keep PF funds and profits separate from the bank’s own capital and profits. Thus the PF “company” consists of all the PF projects of the bank and all the PF investors whose funds are financing these projects. When the bank has more than one group of projects, each group (with its own investors) will form a separate PF “company”. The net profit/loss of each PF project operational during the accounting period is obtained from its Profit and Loss accounting statement. Each PF project is a mudaraba partnership with the bank as the financier. Therefore, if there is profit it is shared between the bank and the entrepreneur according to the pre-agreed proportion. If there is loss, the entrepreneur neither receives nor pays anything, while the bank takes the entire loss. This is the first stage of the profit/loss sharing process. The PF “company” consists of all the PF projects of the bank. Therefore the total net profit/loss of the “company” is obtained by summing up the bank’s share of the net profit/loss from all the individual projects. Two observations need be made here. 1) All the projects – both profit-making and loss-making – will have their capital investment intact, because the loss of the loss-making ones would be made up by the financier (this is the meaning of loss absorbing) using the profits accruing to the “company” from the profit-making projects. This means that the value of the PF shares of the “company” will remain unaffected at this stage. 2) Since fewer projects are expected to make loss, the net result for the “company” is likely to be positive. However, there is always the possibility that the net result can turn out negative. The next stage is the sharing of the net profit/loss of the “company” between the bank and the investors. Their relationship is also a mudaraba partnership. But here the investors are the financiers and the bank is the entrepreneur. Hence when there is a profit it is shared between the bank and the investors according to the pre-agreed ratio. If there is loss it is absorbed entirely by the investors – PF shareholders and PF stockholders – and the bank pays or receives nothing. The investors’ share of the “company’s” profit/loss is the PF dividend, and it can be positive or negative. The “dividend” we have been talking about has one major difference as compared to other conventional company dividends. Unlike them, as seen above, the PF dividend can be positive or negative. This needs some explanation, but it is important to note the difference. Its computation and disbursement are also different. Therefore we will examine them below in some detail. The entire net profit or loss of this “company” will be first distributed as “dividends” to all mature PF shares and all the PF stocks immediately after the announcement of accounts. If the outcome is a net profit, it will be credited to the account of the shares and stocks. No part of this profit will be held back at this stage for future investment or as buffer against future losses. That is, there is no retained profits or reserves at this stage. If the outcome is negative, it will, similarly, be debited from the account of the shares and stocks. This is necessary because in the PF scheme both the stocks and shares participate in the profit/loss of the enterprises, unlike in the case of conventional companies where only the shareholders participate in the company’s profit/loss while the stockholders’ (preference shares, bonds, debentures, etc.) capital and return are guaranteed. Otherwise, if, for example, some (or all) of the profits were held back, the PF shares would rise in value at the expense of the profits of PF stocks. On the other hand, if a loss is realised and it is compensated by previously held profits, the PF stocks will escape loss at the expense of PF shares, which will fall in value. However, while the PF shareholders and the PF stockholders will be treated equally in the computation of their “dividends” they will find themselves in different situations when it comes to the disbursement of it. If the “dividend” is positive the PF stockholder will find his capital increased; but decreased if negative. He is free to do what he will with his capital — reinvest it or take it away. On the other hand, the PF shareholders may not be so free. For the bank may decide to retain all or part of the “dividend” due to them. If the “dividend” was positive and part of it is held back, they will receive some profit out of their investment and, at the same time, the value of their shares would rise. If negative, they would receive no profits and, in addition, their shares would fall in value. The net profit/loss of each PF project operational during the accounting period is obtained from its Profit and Loss account. The total net profit/loss of the “company” is obtained by summing up the profit/loss of all the individual projects. So far so good. The problem is how do we distribute the profits among the shareholders and stockholders? Do the stocks and shares have equal standing? Suppose the answer is yes, then what is the relationship between a stock and a share? Are they counted in terms of units or in terms of currency? Some meaningful solution has to be found. One way of doing it would be to first count the stocks in terms of units as we do of the shares, and equate one unit of stock to one unit of share. Then every unit of stock will earn profit/loss the same as one unit of share. Now how do they stand in terms of currency? Is the price of a stock the same as that of a share? Which price are we talking about? The nominal value of a share, its market value or its book value? Without going into the details of why the former two are not quite suitable, let us settle down for the third — the book value of a share — and see how this can be computed and fixed in advance. When the annual (or quarterly, half-yearly) account is made up and the “dividends” are disbursed, the shares of the “company” will have a book value as at the beginning of the next year. The price of one stock in that year can be fixed equal to this book value of one share. Thus the stocks in the “company” will be sold in integer multiples, their unit price will be the same throughout the current year (or accounting period), and every unit of stock will earn the same “dividend” as a unit of share. The price of a stock, however, may vary from year to year depending on the performance of the “company” but will be equal to the book value of the share at the beginning of the year and will remain the same throughout that year. Consequently, as far as the computation of “dividend” is concerned, the company has a total of this many units of “shares” and the “dividend” per unit is obtained by dividing the total net profit/loss of the “company” by this number of “shares”. This “dividend” per unit is then the same for both PF shares and PF stocks. Inflation is currently a fact of life and it erodes the value of capital as time passes. Since the capital involved in Participatory Financing projects are long-term investments we have to take into account the value erosion of capital in computing profit/loss. Considering the space and time limitations, we need to mention here only that the value loss of the project’s capital due to inflation will be separately computed (using the methodology described in the third book, Gafoor (1999)) and deducted from the project’s gross profit/loss and credited to the project, before the resulting net profit/loss is shared between the financier (the bank) and the entrepreneur. Thus the capital of the enterprise will be restored to its original real value at the end of each accounting period. This also means that the paid out dividend would seem less, because it will not include the amount eroded from the value of capital, but the value of the PF shares will appreciate in monetary terms. The rationale for this approach is presented in Chapter 5 of the second book, Gafoor (1996). 1. Ahmad, Ausaf, Contemporary experiences of Islamic banks: a survey. In: Elimination of Riba from the Economy. Islamabad: Institute of Policy Studies, 1994. pp.369-393. 2. Gafoor, A.L.M. Abdul, Interest-free Commercial Banking. Groningen, the Netherlands: Apptec Publications, 1995. 3. ¾¾ , Participatory Financing through Investment Banks and Commercial Banks. Groningen, the Netherlands: Apptec Publications, 1996. 4. ¾¾ , Commercial Banking in the presence of Inflation. Groningen, the Netherlands: Apptec Publications, 1999. 5. ¾¾ , Islamic Banking and Finance: Another Approach. Groningen, the Netherlands: Apptec Publications, 2000. 6. Saleh, Nabil A., Unlawful Gain and Legitimate Profit in Islamic Law. Cambridge, UK: Cambridge University Press, 1986. 7. Usmani, Taqi M., An introduction to Islamic Finance. Karachi: Idaratul Ma’arif, 1999. 8. Yasseri, Ali, Islamic banking contracts as enforced in Iran: Implications for the Iranian banking practices. Paper presented at the Fourth International Conference on Islamic Economics and Banking, held at the Loughborough University, UK, August 13-15, 2000. Note: 1. A shorter version of this article appears in New Horizon (the monthly publication of the Institute of Islamic Banking & Insurance, London), Issue no. 119, July 2001. Note: 2. A modified version of his article is also to be presented at The First International Conference on: The Role of Islamic Banking & Finance in Socio-economic Development & The Introduction of Innovative Financial Instruments, 29-30 October 2001, Kuala Lumpur, Malaysia. Islamic investors in the region get their first chance to buy Deutsche’s Croci certificates. Deutsche Bank is bringing its Islamic index certificates to Asian investors for the first time. The notes use the bank’s proprietary equity valuation model, known as Croci (short for cash return on capital invested), to pick stocks that meet Islamic investment guidelines. Investors in the Middle East and Europe already have the opportunity to buy the bank’s four Islamic Croci certificates and Deutsche says that investors in Asia, particularly Malaysia, are now keen to get a piece of the action – during the past five years the notes have all averaged year-on-year returns around 10% better than their benchmarks. Three of the certificates are linked to specific geographic regions – Europe, Japan and the US – and the fourth is a global certificate, which takes exposure to 30 equally weighted stocks from the US, 20 from Europe and 10 from Japan. The relevant Dow Jones Islamic index provides the base for the universe of stocks. Each month the indices are re-balanced, with Deutsche applying its Croci analysis to pick the cheapest stocks from the Dow Jones index. In effect, Croci is a way of comparing companies on a like-for-like basis regardless of the accounting techniques they use. Deutsche’s team of analysts burrow through a company’s accounts and revamp them so that companies from different parts of the world and different sectors are directly comparable. From this analysis Deutsche ranks each stock in the index by an economic price-earnings ratio that is derived through the Croci method of analysis. This lets investors see at a glance which stocks are the cheapest. According to Deutsche, returns from Croci indices more or less match a rising market and outperform a falling one. Comparing the historic returns of the Croci US index against the S&P500 bears this out. From its inception in 1996, the Croci index neatly tracked the broad bull run on the S&P500, lost ground during the irrational returns of the dot.com era and streaked ahead in the bubble’s bearish aftermath. As confidence has returned during the past two years, the Croci methodology has again been generating similar returns to the S&P500. To be sure, the Croci method has certainly proven its worth in the Islamic sector. Annualised five-year returns for the four indices are impressive: up 11.78% against the Dow Jones Islamic Europe index, 9.8% against the Dow Jones Islamic US index, 11.5% against the Dow Jones Islamic Japan index and 11.63% against the Dow Jones Islamic Global index. Investors in the certificates pay an initial fee of up to 3% and 0.375% a quarter in management fees. The US and global certificates are denominated in dollars, the Europe certificates in euros and the Japan certificates in yen. As well as the certificates, investors can take exposure to the index through swaps or options, which Deutsche can use to create structured products. Despite its compliance with Sharia’h principles, the Islamic finance sector should do more to encourage socially responsible investing (SRI) delegates at the 9th International Islamic Finance Forum in Dubai were told. Moral dimension of investing high on the agenda at 9th International Islamic Finance Forum in Dubai SRI, a growing force in the international investment industry, is a process that evaluates the social and environmental consequences of investments within the context of rigorous financial analysis. Companies that meet certain standards of corporate social responsibility (CSI) are regarded as morally sound investment opportunities that deliver value to society at large, as well as to shareholders. Darman said that as a result of the corporate scandals that have rocked the international business community in recent years, more businesses have come to realise that, ‘Responsible behaviour is the lynchpin of corporate credibility and corporate credibility is closely linked with corporate social responsibility. Alex Barkawi, managing director of Switzerland-based SAM Indexes, told delegates that the three key criteria of SRI are economic, environmental and social. Commenting on the environmental criteria, Barkawi highlighted the example of water in investment decision-making. ‘Water is becoming an increasingly crucial success factor for companies. The lack of water is driving several industries. Yet very few mainstream investment analysts look at water as a criteria when analysing and assessing a company,’ he said. Regarding social criteria, Barkawi cited human capital as an example. ‘Human capital is a crucial factor for the long-term success of companies and so more investors are starting to look at that issue when analysing companies and deciding where to invest,’ he said. Introducing the special session on ‘Islamic Finance and Socially Responsible Investing’, conference chairman Kavilah Chawla, principal with Nur Advisors of the USA, told delegates that Islamic finance has ‘a moral imperative’ to include those at the lower end of the income scale into economic development and globalisation. The 2006 International Islamic Finance Forum is organised by IIR Middle East, in association with the Saudi Economic & Development Company (SEDCO), Saudi Arabia, and DowJones Indexes. The Islamic Finance industry has shown solid support for the IIFF, with all levels of sponsorship covered. The companies form a virtual who’s who of the Islamic Finance world with heavyweights such as Al Tawfeek securing platinum status, Oasis Group Holdings, Singapore Exchange and Path Solutions taking Gold sponsorship packages and HDG Mansur and Nur Advisors acquiring Silver status. Solidarity is the Takaful sponsor.